ENJOY END OF SEASON SAVINGS WHILE SUPPLIES LAST! 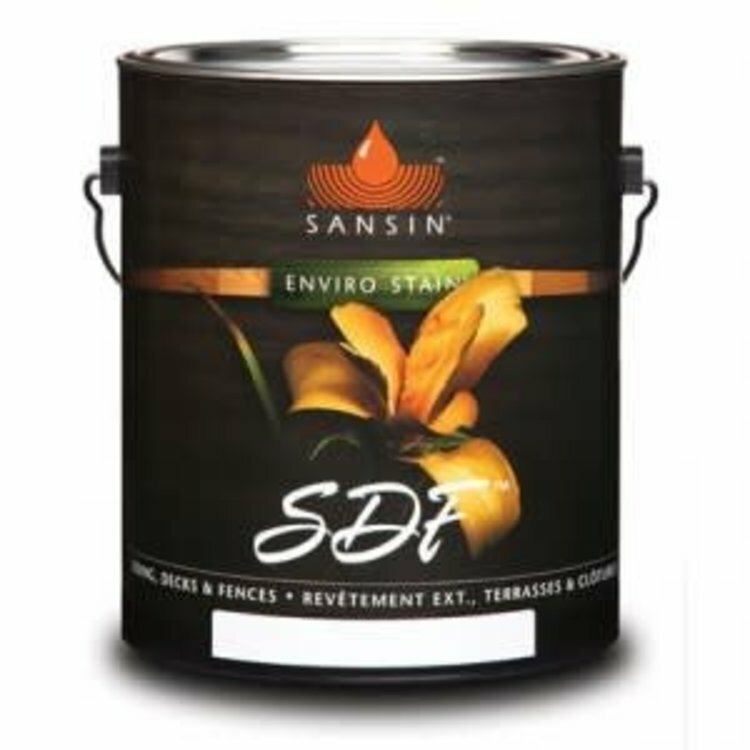 SDF Deep is a superior penetrating finish for vertical surfaces, such as siding, decks and fences. Choose SDF Deep in a range of saturated colors to enhance the grain and character of your wood. Even after prolonged UV exposure, Sansin’s solid color system provides exceptional gloss and color retention for years to come—and SDF Deep will not crack, peel or blister. APPLICATION: Flood coat to the point of refusal by airless spray, brush or dipping. Back brush puddles and drips. MAINTENANCE: Every 2-4 years on vertical surfaces. COVERAGE: 200-300 sf per gallon in one coat, depending on surface porosity and method of application.